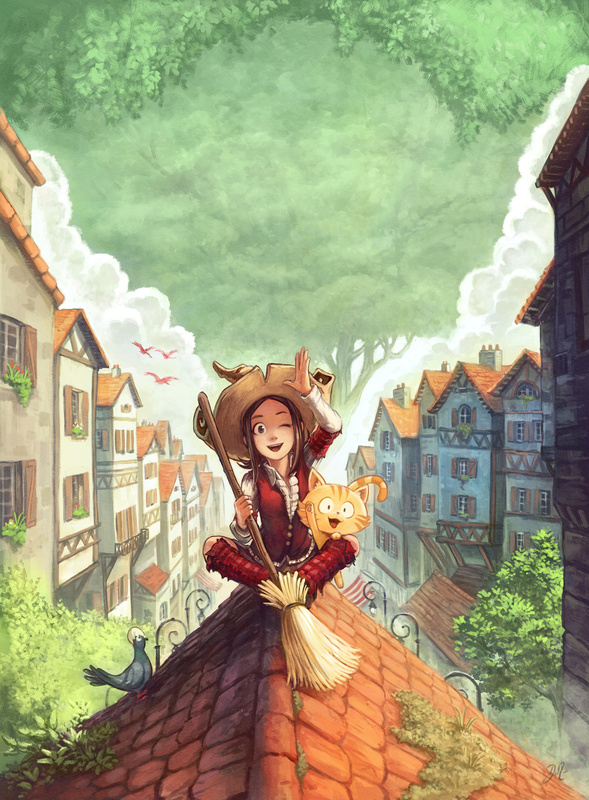 Here is an artwork commissioned by the French publisher Glénat for the book cover of their derivative work—a third book of Pepper&Carrot in French. The book will contain episode 22 to probably episode 29 (I still need to produce episode 28 and 29 for it) and it is planned for Spring 2019. I posted the artwork of the cover last week on social networks. Thank you for the great feedback! License: CC-BY David Revoy, www.davidrevoy.com, 27 november 2018 . So great! This is really nice.